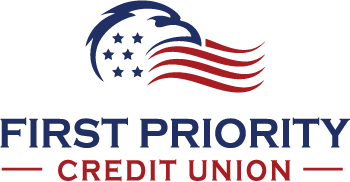 First Priority Credit Union - WP | It's all about service! on New or Used Auto Loans! for May, June and July! in seconds on your phone, tablet or PC. Thank you for the work you do. You have been so good to me through bad times. Thank you from the bottom of my heart. May God keep you all. First Priority Credit Union like all other credit unions and banks are subject to numerous federal regulations that require strict data security measures to keep your data safe. Even in the absence of such regulations, we would still take every reasonable precaution to protect your data simply because it is the right thing to do. 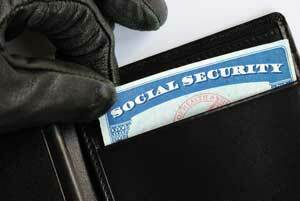 Even with federal regulations in place, data breaches continue to skyrocket. The biggest reason….merchants do not have the same required to meet the same standards as financial institutions, and that makes them an easier target. Hackers target merchants to obtain debit and credit card numbers, along with related pin numbers and codes. Other sensitive data is also targeted. The data these hackers are able to obtain through merchants is then sold to criminals all over the world, who make it their mission to use that data to financially benefit. Find out more at stopthebreaches.com. 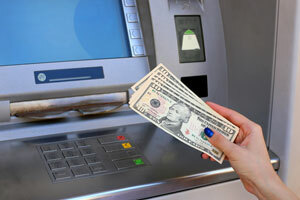 Get cash anytime using our new ATM. Free for members. It just couldn’t be more convenient. Marissa has been assisting members at First Priority for more than three years. Besides being the first smiling face you are likely to see at the teller window, she has countless other responsibilities. For example, she is the one to call if you need a new debit card, need to set up an ACH transaction, or just need general help with your account. Marissa is both soft-spoken and soft-hearted. Most importantly, she is the mother of a beautiful little girl. Marissa will add joy to your day. Come by to see her. More than just a teller, Diana has been helping credit union members for over 3 years. She is outgoing and loves to hear about your day. Her husband works for the FAA. Diana has two children and two grandchildren. In her time off, Diana loves to travel and to spend time with family and friends. If you call for an Uber ride, Diana just might be your driver. Come by, and Diana will brighten your day. To report a lost or stolen VISA debit or credit card, call us immediately. During regular hours, call (325) 692-4089. After hours, weekends and holidays, call 1-800-682-6075. Your savings federally insured to at least $250,000 and backed by the full faith and credit of the United States Government. National Credit Union Administration, a US Government Agency. This credit union is incorporated under the laws of the State of Texas and under state law is subject to regulatory oversight by the Texas Credit Union Department. If any dispute is not resolved to your satisfaction, you may also file a complaint against the credit union by contacting the Texas Credit Union Department at 914 East Anderson Lane, Austin, Texas 78752-1699, Phone: (512) 837-9236, Website: www.cud.texas.gov. APR means Annual Percentage Rate. All offers of credit are contingent upon approval under current credit union policies. Offers made on this site may not include all details regarding the offer. Call 325.692.4089 for details. First Priority Credit Union strives to make website content accessible to all members and those eligible for membership. Visitors having difficulty viewing the website or accessing its information using assistive technology should contact a Member Service Representative at 325.692.4982. We will be happy to provide the information verbally or in printed format.